As the 15th point update for Pagico v8, Pagico 8.15 is here to further enhance your productivity with more efficient ways to present your data, faster access to your data, better support for templates, new bulk actions, and a lot more. If your computer has a big display, you are going to LOVE this feature. Depending on the Pagico window size, you can see a two-up or even a three-up column to see more content at a glance. To make things more convenient, another improvement that’s small but will surely be appreciated is that the By Type display mode will natively supports manual sorting. 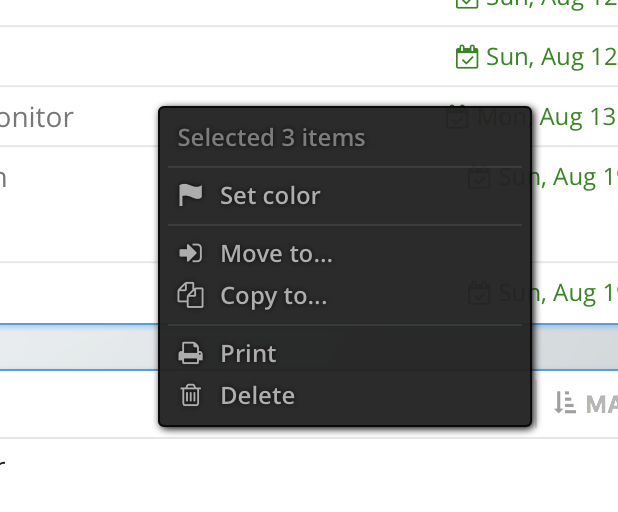 In Pagico 8.15, you can move lists around without reverting to the Manual sorting mode. Going back to a previously used project (or contact) is easier than ever. We moved the Recent Items section that used to be located beneath the Dashboard Timeline to the sidebar area for improved visibility and operation efficiency. Jump back to recently accessed containers with just a single click. Many users need a template feature to create similar projects quickly. Pagico 8.15 includes a number of small feature improvements designed to make templates easier to manage and use. First, project templates that contain dated information (e.g. 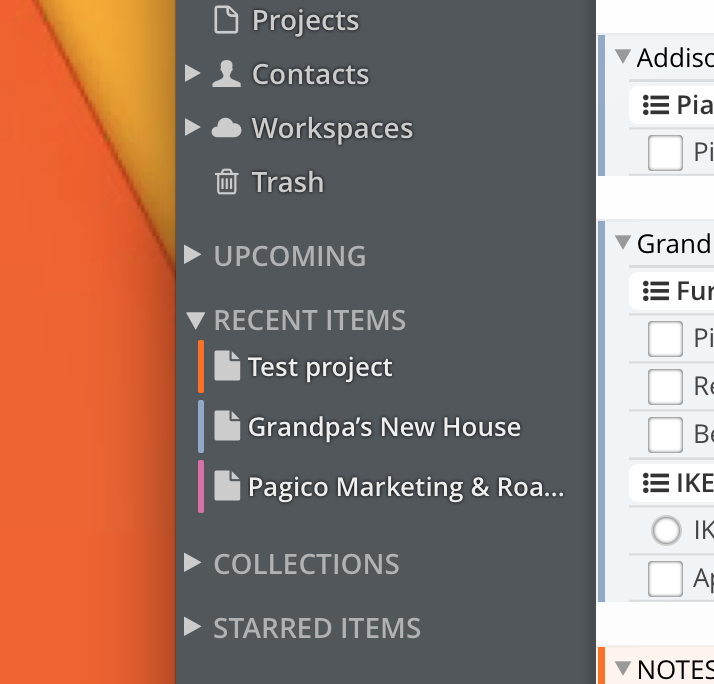 tasks with start and due dates) used to be included in the Timeline. In Pagico 8.15, you can simply archive your templates to avoid them from showing up on the Timeline. But archived projects are hard to access. Here, we recommend you manage all your template projects in a static collection. In v8.15, Pagico will automatically reveal archived project templates in static collections, making those templates easier to access. Last but not least, when you clone a template project, Pagico v8.15 will automatically unarchive the cloned copy for you. Pagico 8.15 for macOS ships with a newly developed Safari App Extension. No manual installation is required — simply run Pagico 8.15 and you’ll see the Pagico extension under the Safari -> Extensions section. The old browser extension is not compatible in macOS Mojave. Screens that use the overlay design, such as the Today view and the database locking screen, will now show up much faster and smoother than before due to a more efficient design. Want to move multiple items to a different project or contact? You can do so with just a few clicks now! Pagico 8.15 allows you to multi-select objects, then right-click and perform the copy or move action with ease. Pagico 8.15 also features a more robust data sync algorithm that works better when large amounts of data is involved. Pagico 8.15, free to all v8 users, is available now for Mac OS X 10.8 or later, macOS 10.12 or later (including 10.13 Mojave), Windows 7 or later, and 64-bit Ubuntu 14.04. To grab the update, please use the In-App update mechanism or manually download it from the Download Section.